Stucco is one of the sturdiest and hardiest sidings available on the market. It’s easy to care for, and relatively low maintenance. However, just because it has a longer life expectancy doesn’t mean you should ignore stucco maintenance altogether. Left unattended, minor, seemingly insignificant blemishes or fractures in your siding could develop into much larger headaches. To get the most out of your siding, make sure you follow these simple stucco maintenance tips. When set, stucco has a naturally porous surface that can trap dirt and debris over time. If too much dirt is allowed to build up inside the stucco, a couple things can happen. For one, your siding will look dirty, especially when it rains as the water will darken the dirt and possibly stain the stucco. For another, moisture will cling to the excess dirt and debris. While that may not initially be a big deal, over time the moisture build up inside the stucco can compromise water resistant barriers. This will ultimately cause water damage to the interior of your home. Performing an annual power washing on your home can be very beneficial for stucco maintenance. The pressure of the water will blast away any dirt buildup, thus allowing the stucco to dry normally and preventing any moisture collecting inside the siding. No matter how good your sealant is, it will not last forever. Ultimately, all sealants break down over time. An effective, water-resistant sealant makes a huge difference in the integrity of your stucco. Make sure you pay attention to the life expectancy of the sealant used on your home and have a professional reseal your home when the time comes. Keeping a fresh seal on your stucco ensures that moisture stays out. 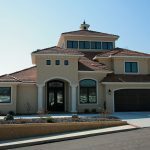 To ensure proper stucco maintenance, it’s a good idea to take a walk around your house and examine the exterior every now and again. Look for any cracks, chips, fractures, or other damage to the siding. Even seemingly superficial chips could become a major problem if not corrected. 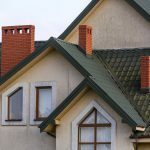 Your house is routinely exposed to an onslaught of the elements. From extreme temperatures to storms and falling debris, it can experience a lot of wear and tear over the years. Detecting any visible change or damage in the surface of your stucco could help you avert potential problems in the integrity of the barrier. Cracks or fractures can compromise the effectiveness of your siding, leaving it vulnerable to the intrusion of moisture or unwanted pests like insects or rodents. To avoid these problems, take the time annually or perhaps even seasonally to check the state of your siding. 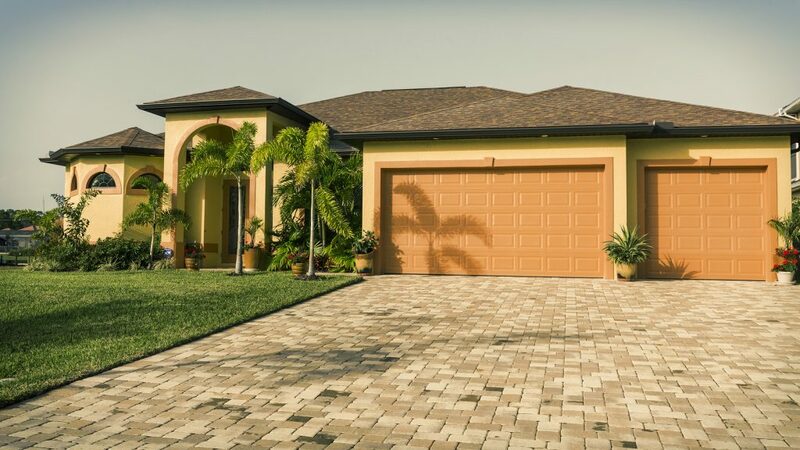 If you notice and potential problems in the exterior of your home, be sure to consult a professional stucco repair company to assess the issue and advise an appropriate solution. 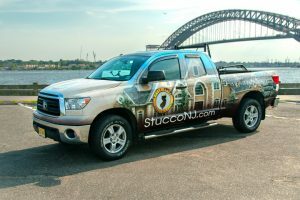 Need Professional Stucco Maintenance in NJ? 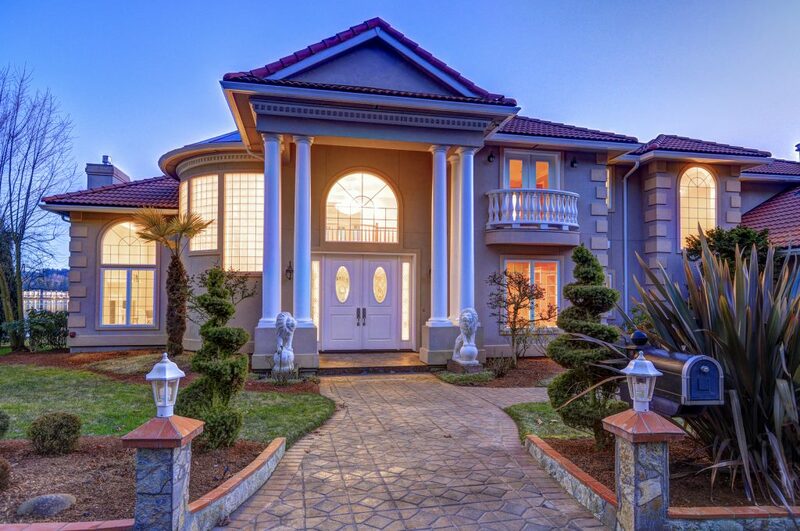 Your home is one of your largest investments. You want to make sure it’s properly taken care of. 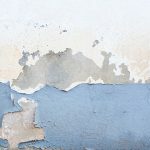 Keeping your stucco siding clean and sealed will help extend its life, but to ensure proper stucco maintenance, it’s always best to coordinate with a professional. That way, you can have peace of mind that the job is done right. 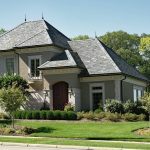 Royal State Construction, LLC., constructs and installs brilliant exteriors with both stone and stucco siding. It’s our mission to create amazing home and business exterior transformations. We are an A+ accredited business with the Better Business Bureau. We’re also top-rated with HomeAdvisor. Check out our gallery to see examples of the stunning transformations we’re capable of. Sometimes all that separates a great home from a dream home is a little update to the siding. 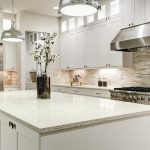 If you’re ready to give your home the ultimate facelift, reach out to us today.